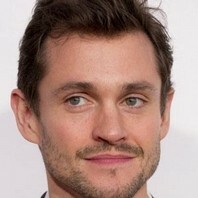 Actor who's best recognized for his role as Will Graham in the television series Hannibal. He has appeared in a variety of films, including Ella Enchanted, Adam, Blood and Chocolate, and Savage Grace. You can still have chemistry on screen without getting on with the person. But it just makes your job a lot easier if you don't have to gird your loins, if that's not quite the right phrase, every time you're going to do a scene with that person. As always, there's a couple of things in the pipeline - but that pipeline is a strange and ambiguous place.